This has been overwhelmingly busy summer for me and I kind of fell out of doing my nails and blogging about it, but now I'm going to try to start again and to kick start my nail painting 'mojo' I'm going to participate in a nail art challenge, I also took part in it last year and had a great time. FAQ and other info on the challenge can be found here. So the first day starts with red. I made cute little ladybugs. Want to see what I did last year? Here's the link! Lovely! 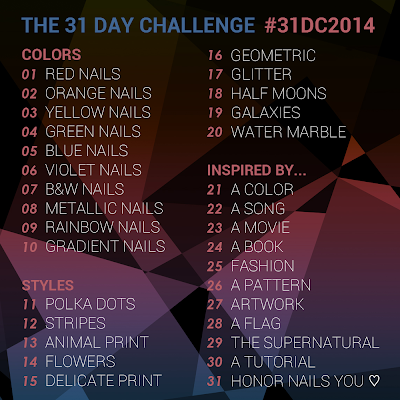 lady bugs are so cute, and congratulations this challenge is really a busy one, I could never do a mani a day! Aww such cute lady bug nails!